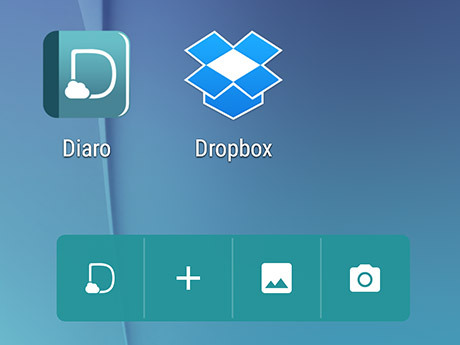 How do I use the Diaro widget on my Android device? /All articles /Diaro App for Android /How do I use the Diaro widget on my Android device? 1. In the list of your Android widgets, find Diaro’s (3×1 or 1×1) and drag and drop it to your home screen.